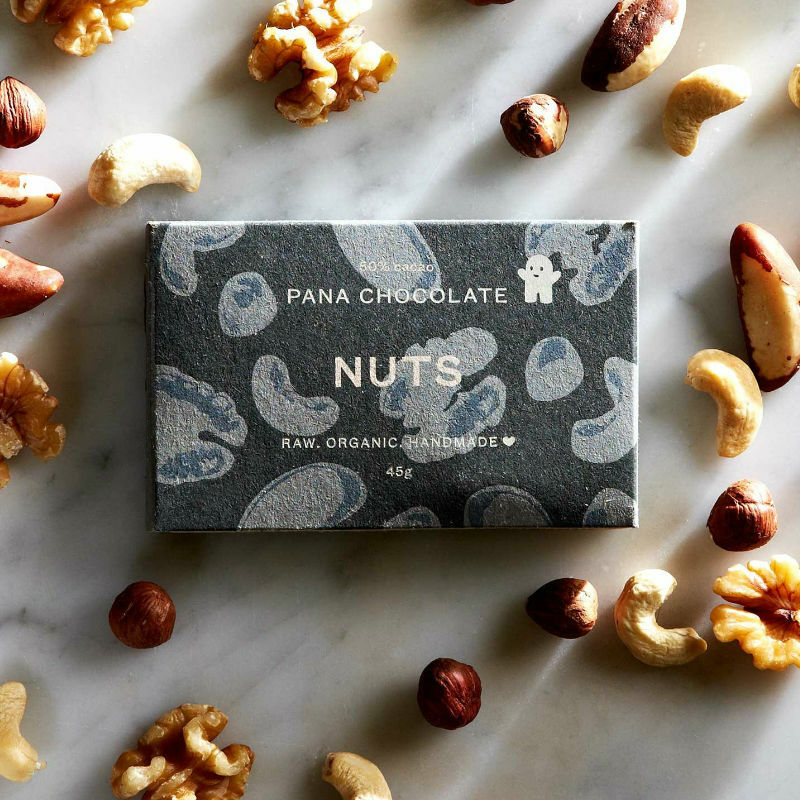 Rich, smooth and velvety organic chocolate without the guilt. 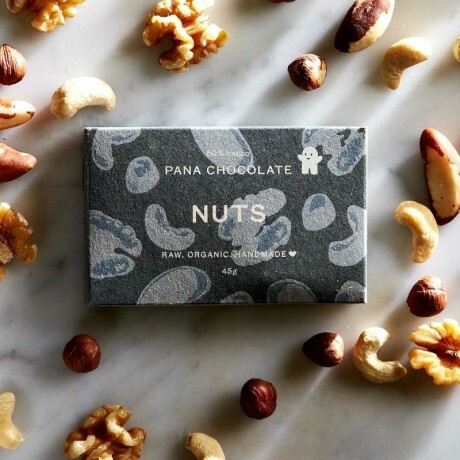 These raw chocolate bars are made with 50% raw cacao with hazelnuts, brazil nuts, cashews and walnuts. Rich in fibre and flavour. Completely raw, vegan, gluten free, soy free, organic, no refined sugar, these bars are all handmade and hand packaged. Smooth, rich, and silky, and a little unexpected, they're full of antioxidants, amino acids, vitamins and minerals. Available to buy in 3 x 45g. cacao solids 50% min (cacao butter & cacao powder), dark agave nectar, coconut oil, carob, walnuts (6%), cashews (6%), hazelnuts (6%), brazil nuts (6%), cinnamon, Himalayan crystal salt. Wonderful yummy chocolate, subtle flavours, excellent service. Wonderful yummy chocolate, subtle flavours, excellent service. Thank you. 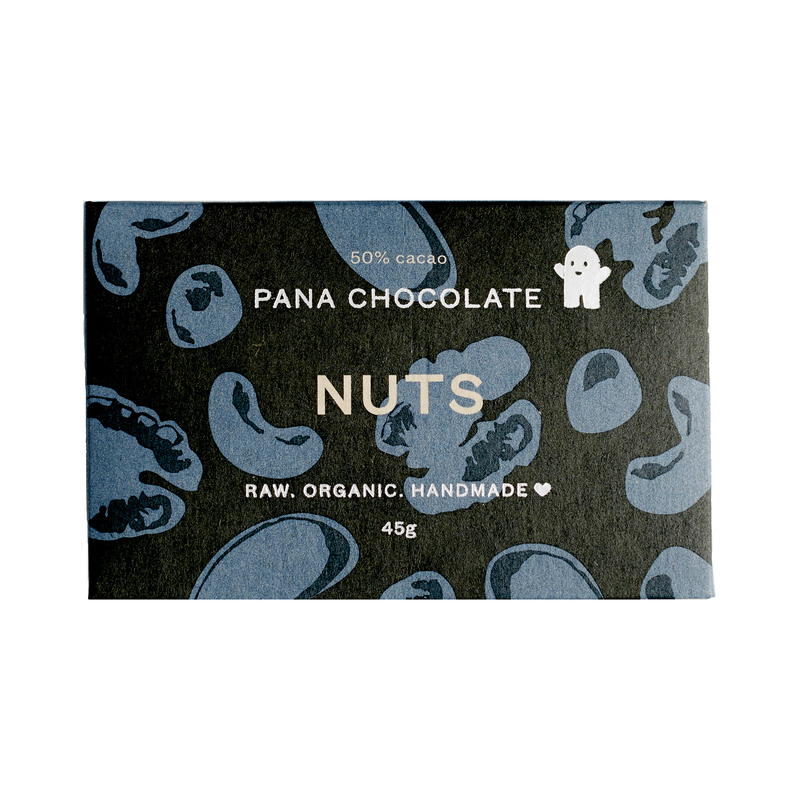 I use the excellant service of Yumbles to buy pana cocolate ,I use it as a healthy alternative to chocolate , you only need a couple of squares to at a time to hit the spot and it’s full of good things .. my favourite is the Rose but they are all scrumdiddlyumtious, so if you have a craving for choc , go for a Pana Choc ! Wish it was a little cheaper , but the saying goes Quality not quantity and you get what you pay for!! I love the deliciousness of the organic chocolate . I love the deliciousness of the organic chocolate .. honestly every chocolate lover should try it .. it is expencive but they say you get what you pay for ! Truly lovely chocolate with a heart too - I will eat 2 squares each morning and because I use food has a safe place today I made a protein mousse with Primrose's Kitchen Carrot Cinnamon Apple Muesli Oats Cranberry and Ginger Unsweetened Almond Milk Pistachios Pure Derbyshire Honey from Hathersage and on top Eighty by Pana Chocolate in my circle of friends online they have also given the chocolate the love and wow reactions - I think I have only a few of the flavours Pana Chocolate make that I haven't tried yet but I will order in 2018. Love this chocolate, it's really special. Love this chocolate, it's really special. I can't eat processed foods and have a number of intolerances and this chocolate hits the spot in every way. Also good fast delivery. Recommended. Tried this chocolate at the local cinema club. Tried this chocolate at the local cinema club. It is totally different from all the chocolate I have tried in the past, it feels almost homemade. Loved it so much, so found a website to buy it. 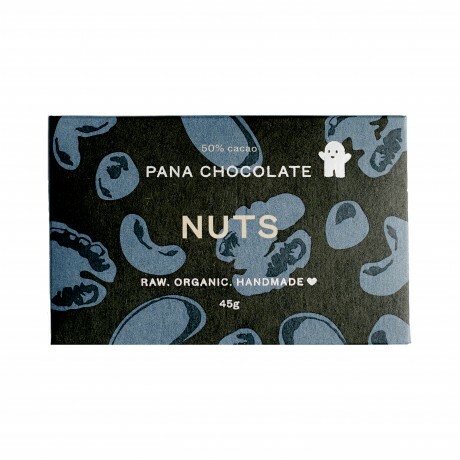 A range of rich and velvety raw organic chocolate bars without the guilt.